This unit will charge your smartphone, iPad, iPod, tablet, MP3 player and most any device that can be charged with a USB cable. 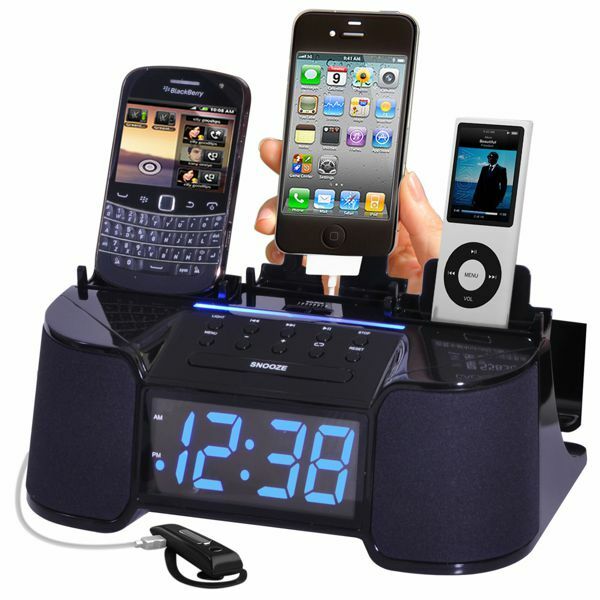 You can charge up to 4 devices simultaneously. 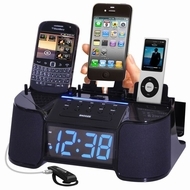 It includes a built-in speaker to listen to your device, alarm, clock and FM radio. Built-in to this charger is SCD (Smart Current Detection) Technology. SCD will protect your device's battery from being over charged and destroyed.